If you ask someone about the history of NASA, they will likely talk about the Apollo moon landings, the space shuttle, the Hubble Space telescope, or landing on Mars. But the people of NASA, especially the women, behind these great achievements remain little known. The men and women of NASA have achieved incredible things, working as a team to push back the frontiers of technology and science. But with women making up only about a third of our science, technology, engineering and math workforce, we are not tapping into the talent to solve the challenges of NASA and our society. In honor of Women’s History Month, we would like to highlight just a few of the many women who have moved this agency forward over its 58-year history. 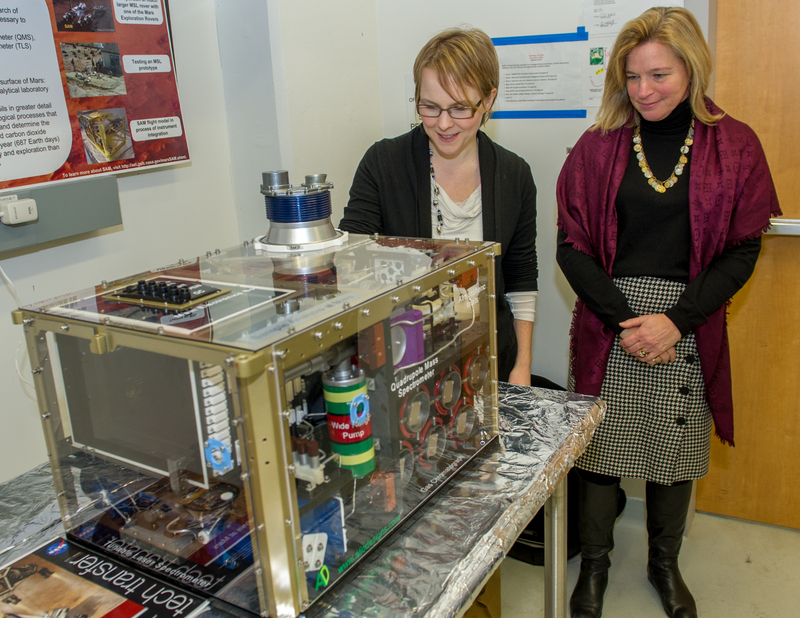 NASA Chief Scientist Dr. Ellen Stofan meets with Melissa Trainer in the Sample Analysis at Mars (SAM) Testbed Lab during her visit to Goddard Space Flight Center in Greenbelt, Md. Photo credit: NASA/Bill Hrybyk. Female pioneers from the entire history of aviation and space history have helped us get to the point where were are now – on a journey to Mars and with many capabilities to help us search for life elsewhere in the solar system and beyond. One of those pioneers, Dr. Thora Halstead, passed away last week. Thora was a mentor to many, and her work benefited thousands. She’s been credited with helping to establish the field of space biology before there was such a discipline, and the mentors of many of today’s scientists working in the field can credit Thora with direct mentorship or inspiration. Thora’s numerous experiments and more than 40 published papers explored how the cells of living organisms respond to a low-gravity environment. As we move closer to Mars, we see that work in many ways, from the VEGGIE experiment that has produced the first lettuce crop in space, or research to show us how plants communicate within their systems in microgravity. Thora also founded the American Society for Gravitational and Space Biology (ASGSB), a 500-plus member society with worldwide scientific community membership (now the American Society for Gravitational and Space Research). The legacy of exchange and collaboration that she began will continue to advance space biology for years to come. By remembering the contributions that the women of NASA have already made, hopefully we can help to inspire the next generation of Thora Halsteads. There have been many. Katherine Johnson, for instance, was recently recognized with the Presidential Medal of Freedom for her contributions to NASA’s earliest days. A mathematician, her calculations helped the Mercury program soar, and helped land those Apollo astronauts on the moon. As an African American woman, she helped open the doors to many who followed, including Dr. Christine Darden who, in 1967, began crunching numbers and writing some of the complex programs for engineers at the Langley Research Center in Hampton, Virginia and developed a computer program for minimizing sonic boom. Our first class of astronauts to include females was selected in 1978. While the legendary Dr. Sally Ride eventually became the first American woman to fly to space, her fellow classmates Dr. Shannon W. Lucid, Dr. Margaret Rhea Seddon, Dr. Kathryn D. Sullivan, Dr. Judith A. Resnik, and Dr. Anna L. Fisher (who became the first mother in space) also went on to make their mark in space. Many of the women who helped their space shuttles return to flight again and again on many missions were also women, working diligently behind the scenes. Dr. Joan Vernikos, former director of NASA’s Life Sciences Program, pioneered research on how living in a microgravity environment affected the health of astronauts. Jeanne Crews was an engineer at NASA from the mid-1960s onward and helped us achieve many of the space program’s early milestones. Dr. Nancy Grace Roman, an astronomer known as “the Mother of Hubble,” not only helped design the great observatory, she worked tirelessly to get NASA and the Congress to make it happen. Several women have served as NASA’s Chief Scientist, including Dr. France Cordova, Dr. Kathie Olsen, Dr. Shannon Lucid and, currently, Dr. Ellen Stofan. 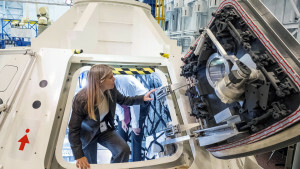 Many women have led NASA in senior management positions, from Dr. Carolyn Huntoon, the first female center director, at the Johnson Space Center in Houston, Dr. Ellen Ochoa, who currently leads Johnson, Lesa Roe, who led our Langley Research Center in Hampton, Virginia, and is now NASA’s deputy associate administrator, Dr. Harriet Jenkins, a mathematician who also served as NASA’s assistant administrator for equal opportunity programs, and Shana Dale, the agency’s first female deputy administrator – who has been followed by Lori Garver and Dr. Dava Newman. There are many stories to tell, and many being written right now. 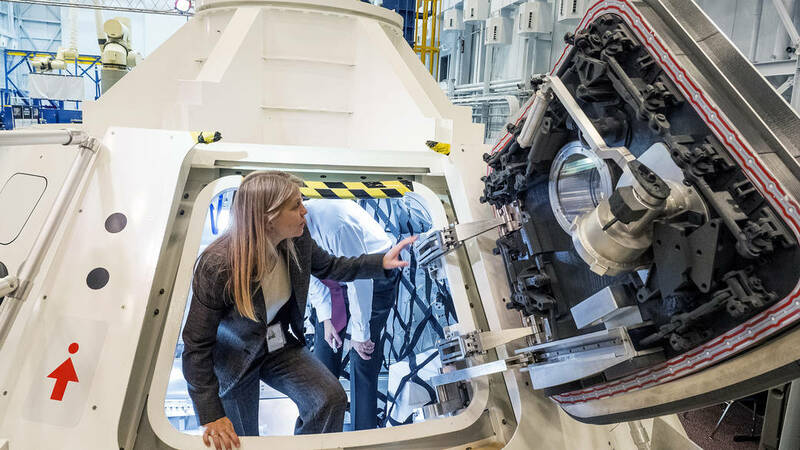 The Women@NASA website is a good resource to find out more about how women today are more than ever involved in every aspect of NASA’s work. In this field where milestones are the norm, we are standing on the shoulders of many giants, and we celebrate that legacy by advancing it and reaching new heights. 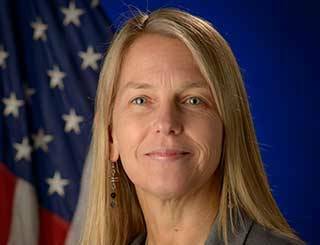 Dr. Dava Newman is NASA’s deputy administrator. Dr. Ellen Stofan is NASA’s chief scientist.